The AC evaporator is a heat exchanger which is made of aluminum tubes and fins that help remove heat. The refrigerant gas enters the evaporator through the bottom inlet tube as a low pressure liquid. It then gets expanded and cools down, becoming gas. The evaporator has a fan which blows warmer air that catches heat molecules, creating condensation on the coils. The air gets cooler when the air continuously blows over the coils. If you find out your AC evaporator is malfunctioning, check it as soon as possible. Buy Auto Parts is the number one source for quality auto parts. All our AC parts are tested to meet or exceed industry standards. You can get your car parts at affordable prices and save a significant amount of money at Buy Auto Parts. All our AC evaporators come with an industry leading warranty. 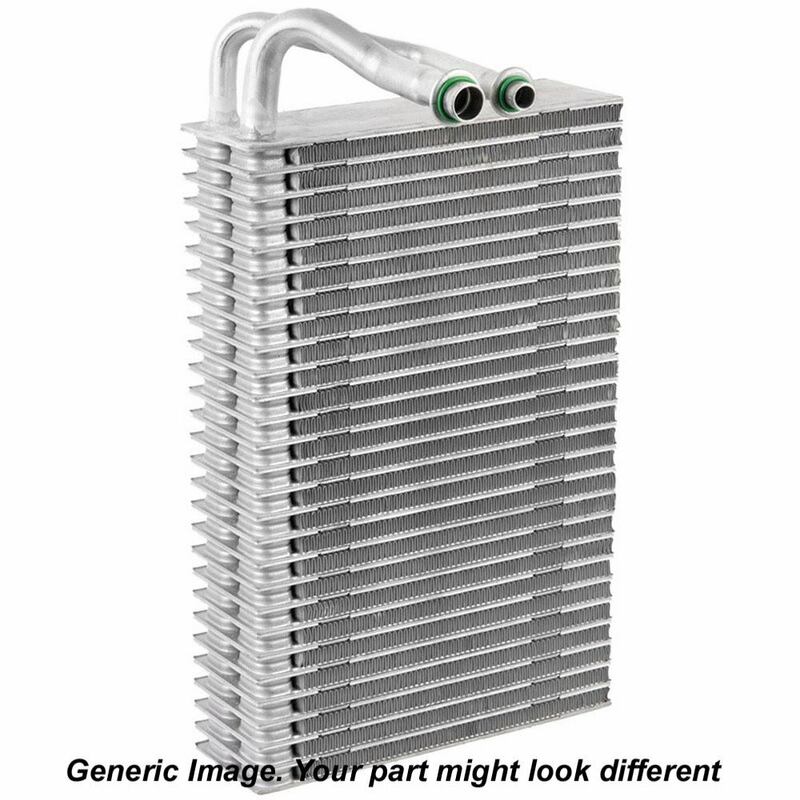 Take a look at our online catalog to find the correct AC evaporator for your vehicle. By simply selecting the year, make, and model of your car, you will easily locate the parts. If you are unable to find the AC evaporator, please feel free to give us a call for assistance. We pride ourselves in offering not only the best parts but also outstanding customer service. Once your order is done, the parts will be shipped from our closest warehouse. Buy Auto Parts provides free shipping on all orders over US $99. If you have any questions regarding your evaporator, you can contact our US based AC specialists at 1-888-907-7225 or send an email to [email protected].